Ald. Ann Rainey (8th) attends a City Council meeting. Rainey was the only alderman who voted in favor of moving discussion of the construction of an apartment building at 831 Emerson St. to council. City Council voted 7-1 against a proposed rental apartment project for 831 Emerson St. on Monday evening. The adoption of the ordinance did not succeed after most aldermen voted against extending a zoning classification change to the high-rise apartment project. The project would have been changed from a commercial and general residential classification to commercial mixed use, a zoning label traditionally extended to large commercial buildings, Ald. Melissa Wynne (3rd) said. Following more than an hour of citizen comment in the Planning and Development Committee meeting, which was held immediately prior to council, Wynne said she objected to the large-scale building because it exceeded maximum zoning regulations, even considering a possible classification change. “This developer has increased (the maximum parameters) significantly and far exceeds development requirements … for an enormous-sized private dorm by most campus standards,” Wynne said. The proposed apartment building would have been, in different segments of the building, 12, 11 and nine stories tall, and have around 440 bedrooms in smaller units that range from studio to three bedroom apartments. The units would be leased by bedroom, not by unit. The facility would also have underground parking. The project had previously received unanimous approval in the Design and Project Review Committee in early November. Citizen complaints about the project ranged from concerns about increased noise and traffic around the building area to expressed disappointment about the building’s lack of contribution to affordable housing in the city. Developers of the proposed project would have contributed fees which would go to the city’s general affordable housing fund in lieu of offering affordable housing units, as per the city’s affordable housing ordinance. Fair housing agency Open Communities’ former executive director Gail Schechter said the project violated the city’s fair housing contract and “openly discriminated” against families with children, citing statements from the developer that the project would appeal primarily to young professionals and students. Ald. Ann Rainey (8th) directly acknowledged Schechter’s comment during council while defending the ordinance, calling her remarks “disingenuous.” Rainey recalled previous development projects that had been approved which she said also technically did not appeal to families with children. She said this specific model of housing is acceptable because it is built with the specific demographic of students in mind, who she said should also be labeled as a protected class. Additionally, communities that have expressed disagreement with the proposed project, such as Sherman Gardens, a nearby subdivision of apartments, would realistically not have to deal with nuisance concerns residents brought up as issues with the property, she said. 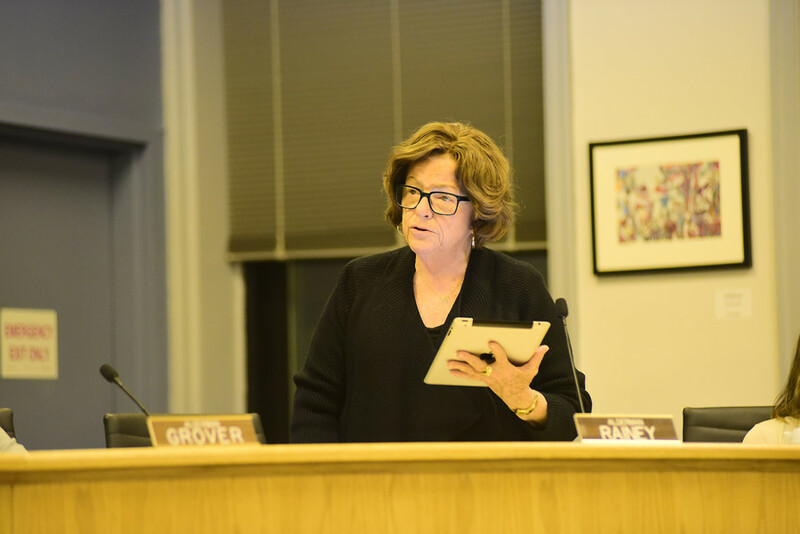 However, most aldermen said the widespread pushback against the ordinance combined with what they said was little need for the property in the area led them to vote against the ordinance’s introduction. Correction: An earlier version of this story misinterpreted Council’s vote. The 831 Emerson St. project will receive no further deliberation. The Daily regrets the error.